At the beginning of the year, I did an engagement session giveaway. 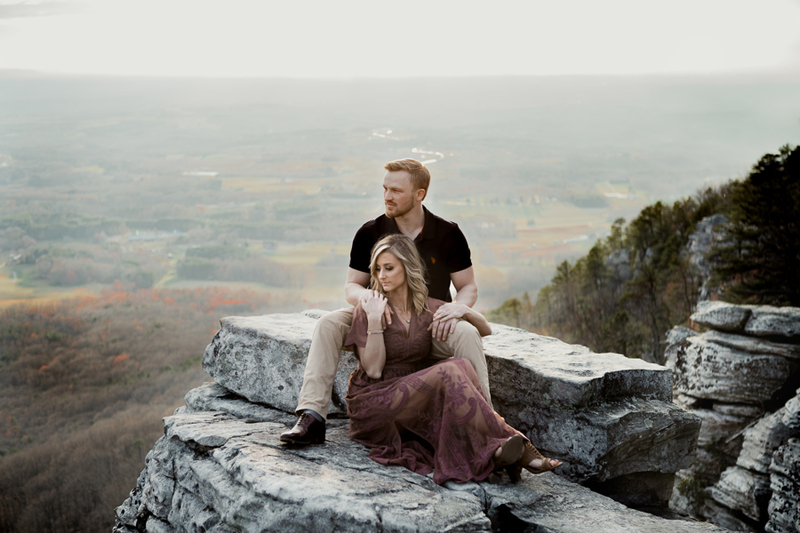 These two won and I am so excited to share a glimpse into their session with you all! Pilot Mountain is one of my most favorite places to shoot at that is in the area. It is so gorgeous, requires very minimal walking to get to the beautiful views, and gives you all the feels - especially for a couples session! So romantic! Matt & Hannah were such a joy to work with! They are getting married in September of this year, and I can totally tell that these two were made for each other! Also, can we talk about Hannah’s dresses? She totally nailed her outfits. If any of you have followed me on social media for any amount of time, you will know that I am obsessed with long flowy dresses and you will know how much I love them in photos! I know it is a little late in the month to be doing this, but with my website being down while I gave it a total makeover, I had no where to blog about this at! So here I am, reminiscing back on 2018. I love seeing how my style has changed and developed into what it is now over the last year. 2018 was truly a year of growing and learning for me in my business and in photography in general. I am so blessed to have had so many wonderful clients who supported me and still support me throughout this journey and growth. I am so happy now with where I am at but cannot wait to continue to grow in my photography & business! So here we go… 2018 in review! My year started with photographing this sweet couple that had won a half off session a few weeks prior. 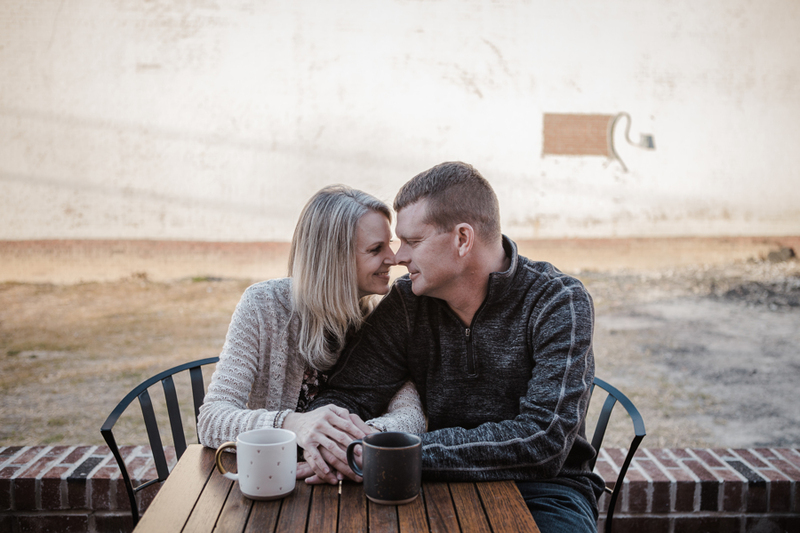 I traveled to Pittsboro and we had so much fun during this session. This particular session was a major turning point for me and where I really started to discover my style. In March? 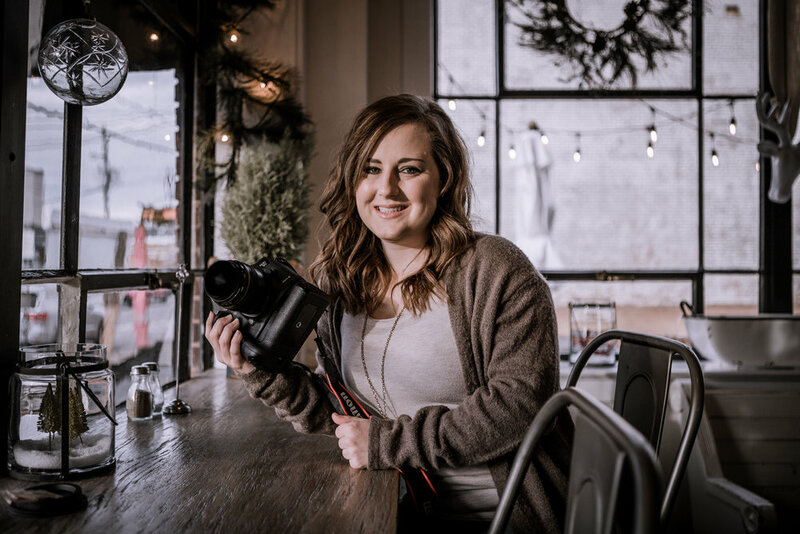 I believe, of 2018, I decided to invest in my business and had the honor of mentoring under the amazing Amanda Sutton, and together we took photos of another fellow photographer/videographer, Drea & her husband Josh. This is one of my most favorite photos from 2018! 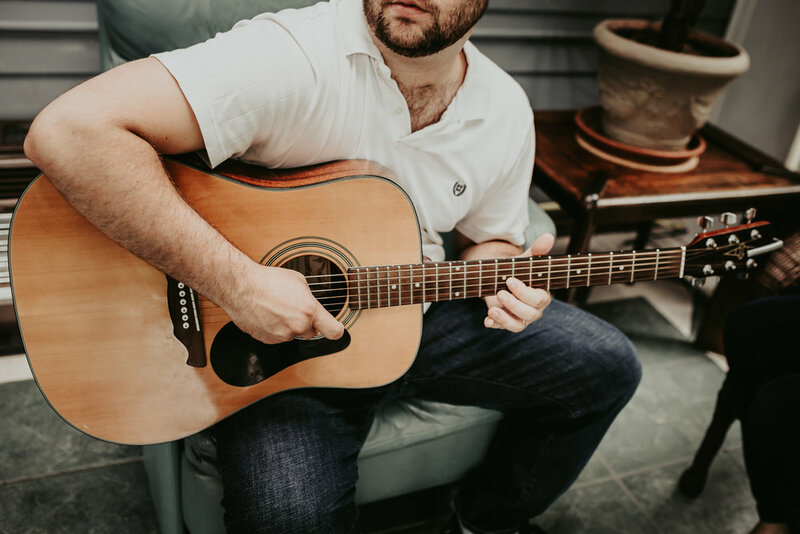 My first in-home session of 2018 included a precious family of 4 celebrating the newest addition to their family, a sweet baby boy (pictured below) and I had the pleasure of not only meeting them and documenting this special time in their lives, but also enjoyed getting to hear Thomas play his guitar! This dreamy location made for a beautiful session with Kaleigh & Matthew. Kaleigh & I are very distantly related and when she reached out to me about taking these photos I was super excited! This is my best friend and her boyfriend and it was SO great getting to take their pictures at Pilot Mountain! I also had fun going shopping with her and helping her pick out the gorgeous dress she had on! Give me all the bellies! I loved loved loved taking these maternity photos at the beautiful Timberlake Earth Sanctuary of Keanly and her husband and adorable daughter, however, I could not resist posting this stunning photo of Keanly. She truly is a beautiful mama and really had that glow! I had the honor of working with The Hubbard House in Asheboro & photographing this adorable couple. I met many wonderful vendors during this time and had so much fun helping coordinate this day! This session was extra special to my heart because Adam is my first cousin and him & his beautiful wife, Lauren welcomed sweet baby Goldie into the world in May. I had the pleasure of documenting an in-home newborn session for them. I also had the pleasure of capturing Lauren’s maternity photos while she was pregnant! Adam is the first first cousin I have that has had a baby in my family! Uhg, my heart. Before my husband & I sold our home in September, we had a mini farm going on that consisted of horses, pigs, goats, and chickens. We were able to witness our goats giving birth and this is one of the babies. The little girl is one of my best friends daughters and she seriously is the cutest little model and was SO excited to get her picture taken with the baby goat! Just to add: We sold our home in September and sadly had to sell all of our animals (except the horses) because we are currently renting until we find a new place to purchase and did not have anywhere to put all of our animals. Luckily, all of our babies went to wonderful homes and even though it was super hard to say goodbye, knowing that they are in good homes definitely helps! Over the summer, I was asked to do take some photos for an online shop. I had never done any product photography before so I was super stoked about it! If you want to grab one of these adorable flannels, check out Heather Lauren Designs! It was in the middle of summer and I had been wanting to do a session in the water, so I found the perfect spot on a lake and in the water I went with my clients to get these steamy shots! It was so much fun! & the cool water was definitely nice on that hot day! 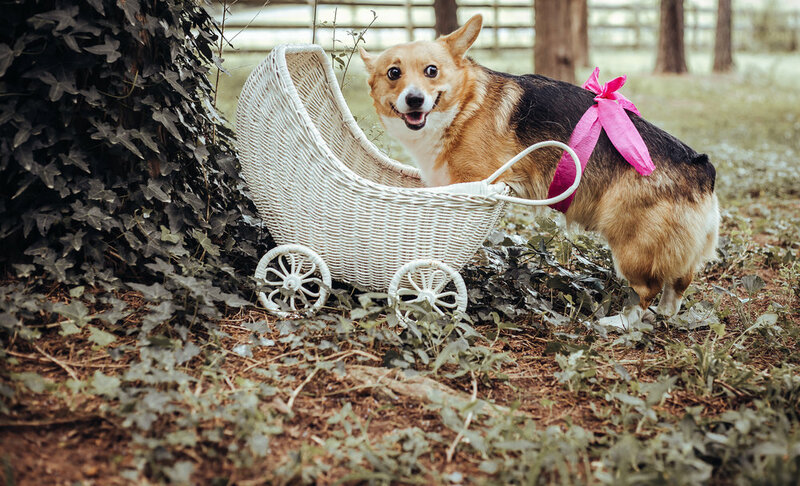 In August, my Corgi, Kaya was due to have a litter of pups. We were expecting her to have 3-5 (because her belly was pretty small)…. She had one. Hah! & she was a breech puppy, and I had to help pull her out (she was stuck and momma wasn’t pushing) and then I had to give the puppy CPR. I stayed up literally all night to wait on this “litter” to be born and it was probably one of the most scary & stressful moments of my life. Our original plan was NOT to keep any puppies from this “litter” but after the birth experience and me basically bringing her back to life and raising this one single pup for 8 weeks, how could we get rid of her? She is our baby now and her name is Nala. & yes, Kaya was a wonderful mommy to her! A few days after Nala was born, I had to leave her with my husband for an extended weekend trip to NYC. Yes, my first time going to the city. It was a girls trip with my mom, one of her best friends, and her best friend’s daughter who is one of my best friends (that is her in the picture, and also in the Pilot Mountain picture from earlier in the post with her boyfriend) & let me tell you… NYC is really nothing like what I had imagined it would be. It was smelly, very smelly. But it was still wonderful. I could NOT live there and could not stay in the city for more than a few days (I am a true small town girl!) but I would absolutely love to go back one day, especially around Christmas time! Over the summer I was asked to take some photos at my grandparents 40th anniversary party. Normally, I am grateful for breaks from photographing when I am at family events but I absolutely loved getting to capture this special day for the two of them. I was so flattered that they wanted me to be apart of their 40th anniversary in this way and it was also a nice gift to give to them from myself. Such sweet souls and deserving of so much more than I could ever give them! One of the most exciting things I was asked to do over the summer (late summer, it was almost fall) was to capture a SURPRISE PROPOSAL at THE BILTMORE! & ohhh it was such a rush! 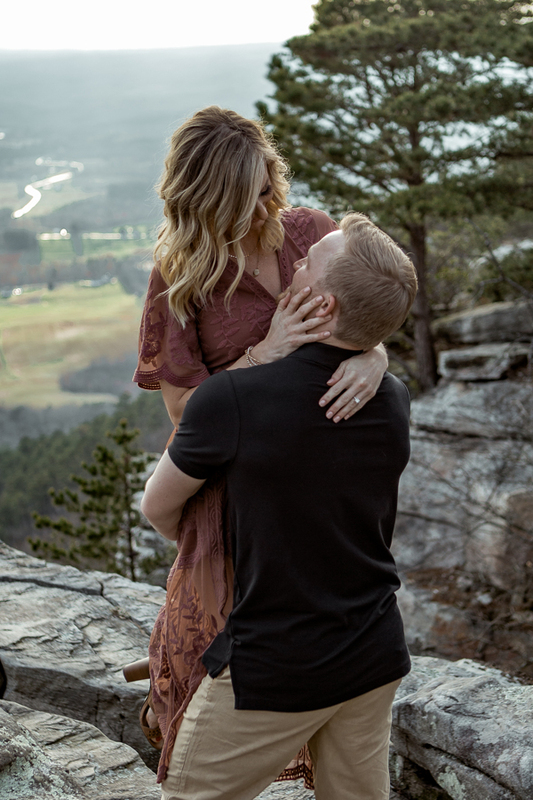 Treece, his future mother in law, and myself got together two months before this happened to plan this out & then Lauren from Hello Cheetah Productions joined in to capture the proposal on video! It was seriously one of the best days. 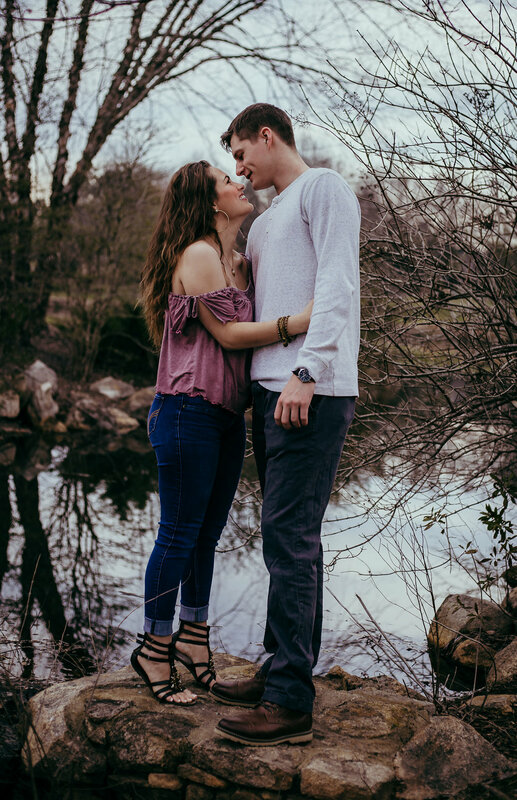 We had so much fun & I am so excited to capture their wedding day in October! 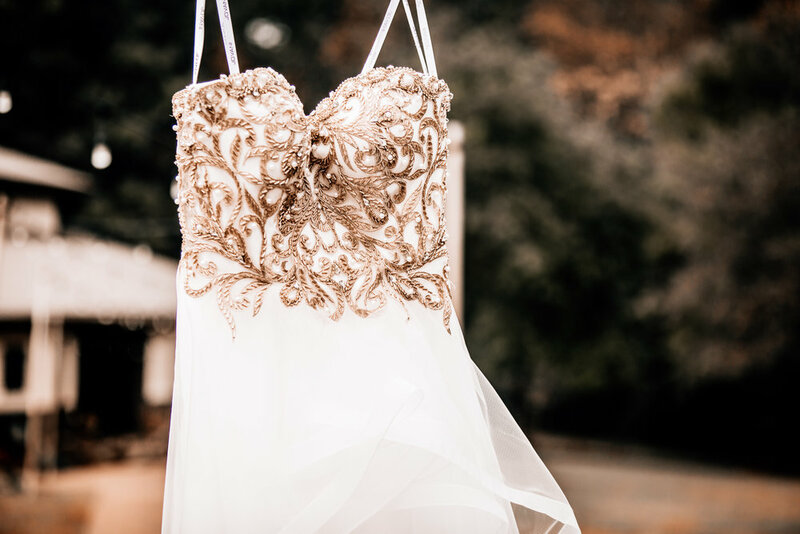 My first wedding of the fall season was totally dreamy! I attend church with Caleigh’s (the bride) mom & stepdad and when they asked me about capturing Caleigh & Trent’s big day I was so excited! We were worried that the ceremony would be rained out and they had everything set up indoors to have the ceremony but an hour or so before, it cleared up and they were able to say “I Do” outside, as planned! & after the ceremony we went to the barn and the reception was a blast! Aren’t they gorgeous?! I know, this looks like it should be in the summertime. But it was indeed in the fall - in Key West! My husband & I took our anniversary cruise in November and one of the stops was Key West and of course, I had to capture one of the famous chickens! A few days after arriving home from our cruise, it was time for another fall wedding! & boy was it cold! My second shooter captured this photo of me and as you can tell, I am all bundled up! These two were seriously the cutest and this was such a beautiful fall day. This is the same Pittsboro location from my first photo in this post and it brought back memories of getting to work with Kellsie & Matt earlier in 2018! Lindsey is the daughter of my pastor and she is seriously model material. I hardly even had to tell her what to do because it came so naturally for her, and she is such a beauty! & a sweet soul. I was honored to take her senior portraits for her! 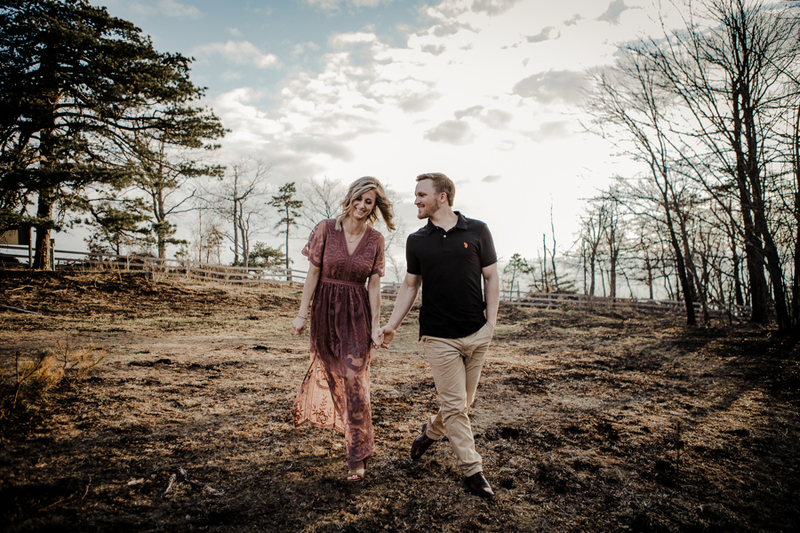 Anna & James drove all of the way from Rock Hill, SC for these maternity photos. They could not have been more excited for their sweet Everleigh to arrive! 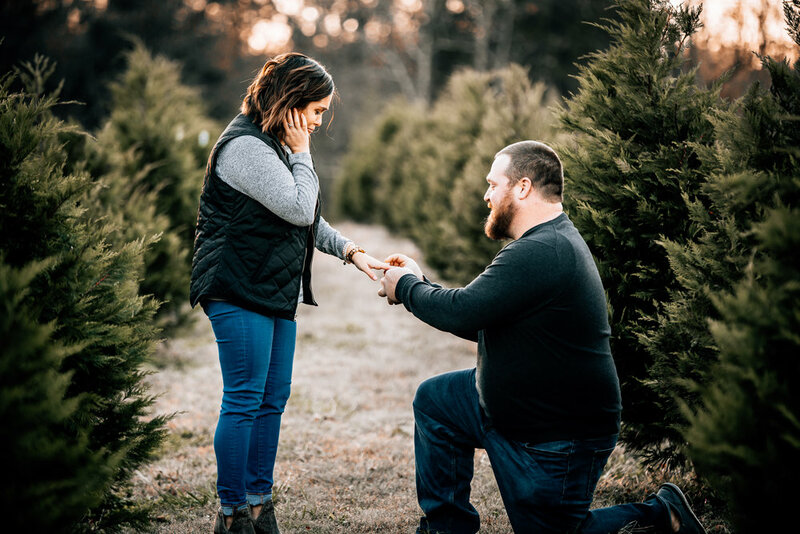 This is kind of a funny story (You are probably wondering how a proposal is funny, and it’s not what you think!) but Katie had booked one of my Christmas Card Sessions for her & Kevin back in November. They brought their two fur babies and Katie’s dad & sister to help with their doggies while they had their photos taken. I told Katie & Kevin to walk away from me when we first started to get them in position where I wanted them at & Katie’s dad had whispered in my ear “Whatever you do, DON’T stop taking pictures!” & normally I am like… super slow to catch onto things, but something just clicked in my brain with the way he said that and I whispered back “Is he going to propose to her? !” & he said “Yes!” so I told them to face each other and I kind of paused for a minute because I was not sure if Kevin wanted to go ahead and ask or not. But luckily as I paused he took the opportunity and got down on one knee and it was SO SWEET, y’all. Katie seemed SO surprised and it was just the most precious moment to witness. & now I get to capture their wedding day in September & I cannot wait for more sweetness from these two! I was asked by another photographer & a friend to take some head shots for her at the end of 2018! This was my first time getting to take head shots of another photographer so I was really looking forward to taking these! Lindsey & I had the idea to take some in a coffee shop & then we headed over to a beautiful field to get some more. This is just one of my favs of this talented girl! You can check her out by searching for Lindsey Gettig Photography! For these two’s Christmas photos, we headed over to a greenhouse full of Poinsettias & it was such a unique and fun location, I loved doing these! Also, this couple totally rocked it in front of the camera! I barely even had to tell them what to do - they were so comfortable and it was just such a fun and relaxed time! & on New Years Eve we ended 2018 with a bang by traveling to the mountains to capture the elopement of a couple that is so special to me and my husband. 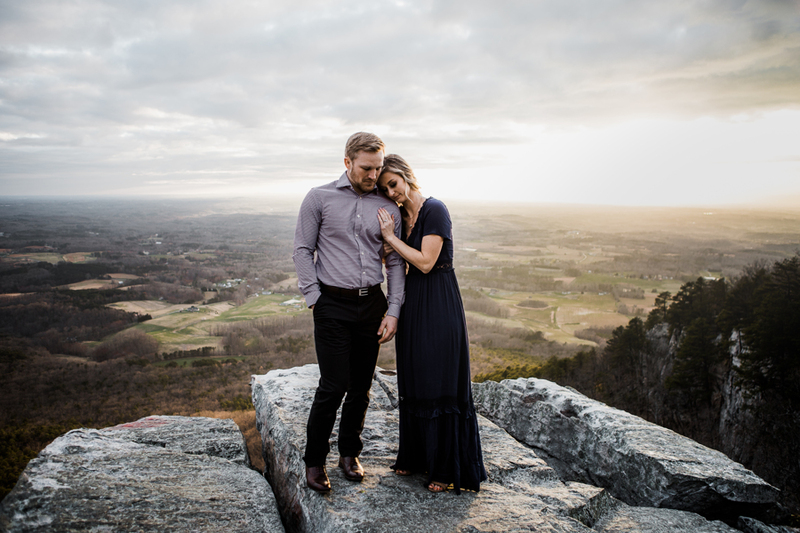 Their elopement was held at The Cliffs at Glassy Chapel in Landrum, SC with the hopes of being able to see mountains surrounding the chapel, but the fog decided to make that impossible! However, the fog really made for some fun & gorgeous photos and nothing could have ruined this very special day for this very sweet couple! So, there you have it… a summary of my year. My year in a nutshell! I am so thankful for everything that 2018 brought me, and now I am ready for 2019 to bring it! Comment below to tell me which photo and/or story you enjoyed the most from this blog post!